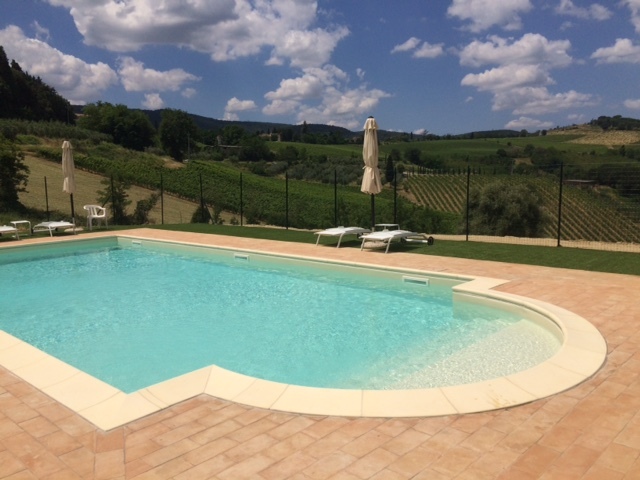 The Casa dei Girasoli offers its guests a beautiful and new outdoor pool. It is a classic rectangular pool with a Roman staircase in the appendix surrounded by a solarium equipped with umbrellas and sunbeds and a green lawn. It is open every day from 11 May to 4 October 2019. It is the ideal place to relax for both adults and children, especially after a day dedicated to walking and discovering the most beautiful places and cultural interest in Tuscany. It is a perfect spot to sunbathe, relax, immerse yourself in reading a book and admire the surrounding breathtaking scenery.